"Snorkmaiden is a daydreamer and often imagines what her prince charming will be like. She is also a little vain and flirtatious, but can be very resourceful when she’s in a tight spot." The hooks are silver-plated. Nickel-free. 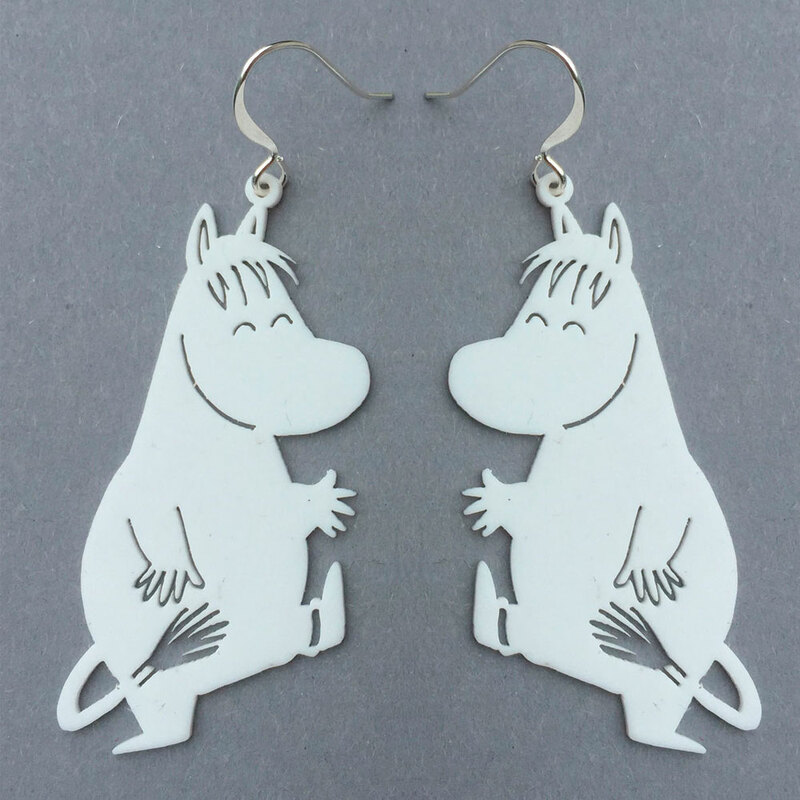 These earrings come in two sizes. XS = lenght 3 cm / 1.18 inch (excluding the hook) Both Snorkmaidens look the same. Medium = lenght 4,7 cm / 1.86 inch (excluding the hook) Snorkmaidens are different. XS-earrings. Both Snorkmaidens look the same. Medium earrings (Snorkmaidens are different).